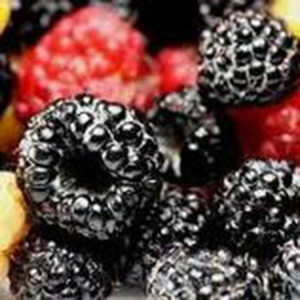 Raspberries | Honeywood (Dr. A. J. Porter) Heritage Nursery Inc.
Price List description – This is our own introduction and is perhaps the hardiest black. It winters well when bent down so the snow can cover it and produces heavy crops of good sized black fruit that is splendid for pies or jam, and for eating fresh. 15c each. Does not sucker. We have one of Bert Porter’s raspberries growing in the Memorial Garden, it is unknown which variety we have but the plants were taken from a group of raspberries known to be the last of his selections.